When the student is ready… THE TEACHER APPEARS. This is the book that has been endorsed and promoted by Yoga Journal, Athleta, prAna, Seane Corn, Mayim Bialik, and Maroon 5’s Adam Levine! 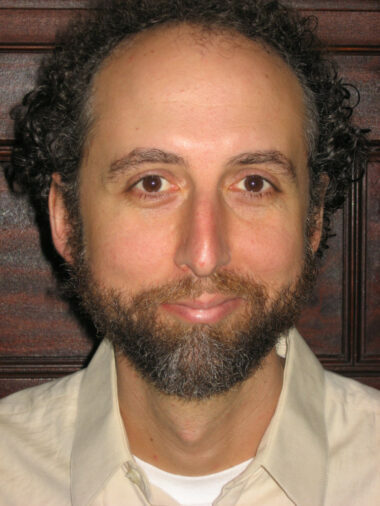 Brian Leaf, M.A., is the author of thirteen books, including Misadventures of a Garden State Yogi. 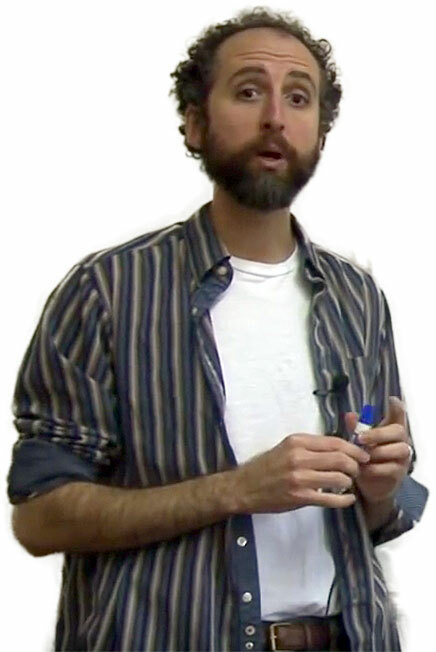 Brian graduated from Georgetown University in 1993 with a BA in theology, English, and business, and in 1999 he completed a master’s degree at Lesley College, specializing in yoga and ayurveda. He lives in Northampton, Massachusetts, with his wife and two sons. Brian is a devotee of Swami Kripalvananda. 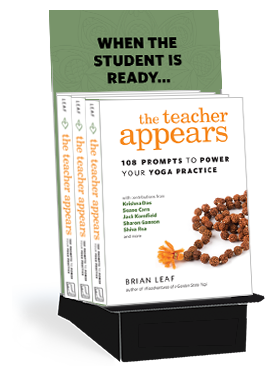 Purchase THE TEACHER APPEARS in bulk for your gift shop or bookstore. 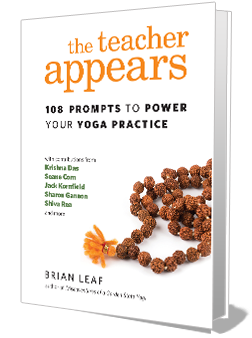 The book also makes a great gift for your yoga teacher training class. Bulk orders include FREE shipping and this countertop display. For private coaching inquiries, please contact Brian at the email address below.